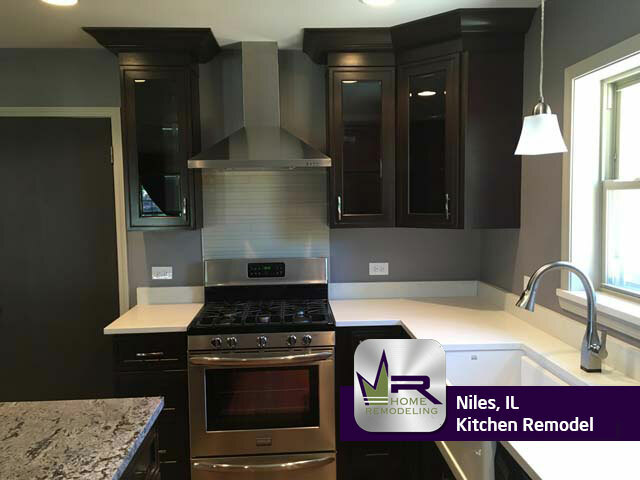 Niles is a village located in Cook County about 14 miles from downtown Chicago. The population of Niles is just about 30,000 people while the median family income is just under $59,000. 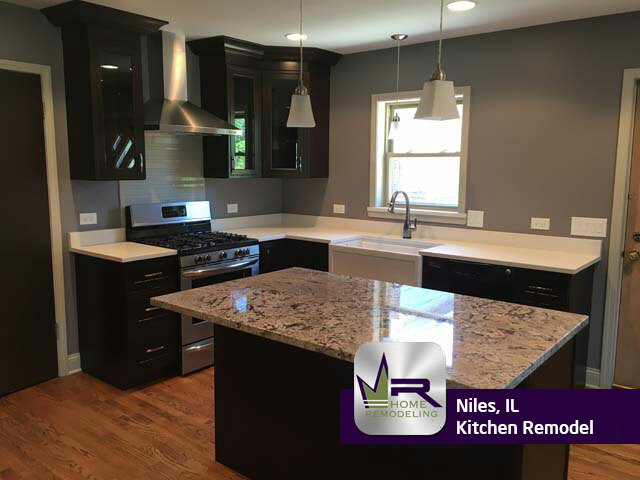 This gorgeous Niles home was ready to get a major update on the first floor, particularly the kitchen. Prior to the renovation, the kitchen did not have much to offer. 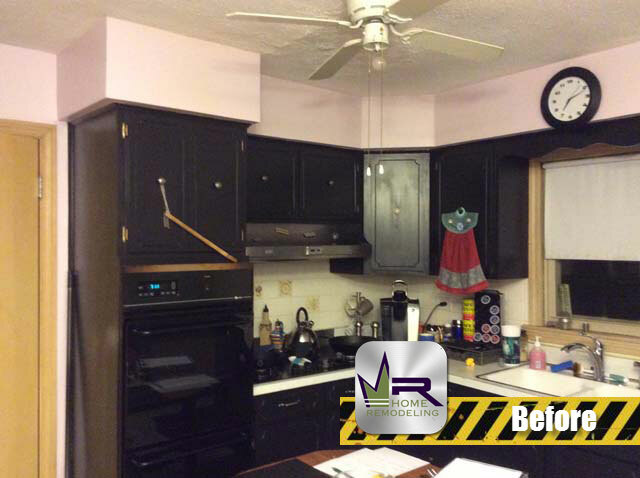 With the appearance becoming dull and boring to the customers, the layout had also become a major issue. 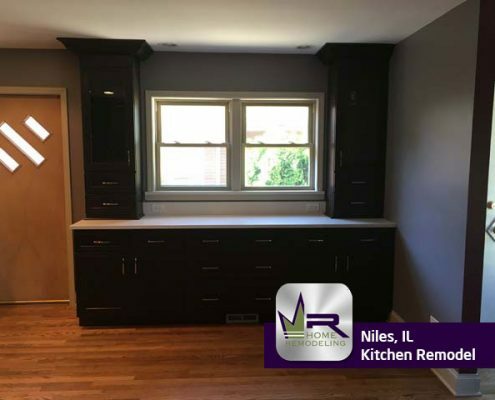 They wanted to create a kitchen that would be larger, more efficient, stylish, and modern. 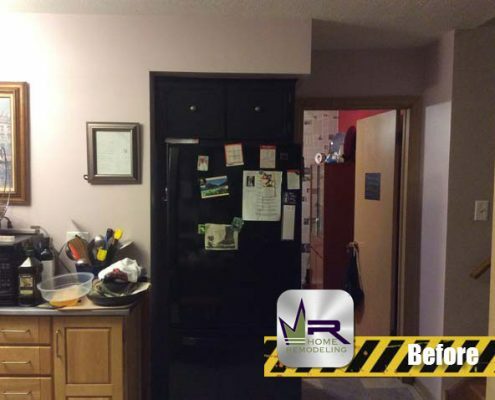 Regency would begin the remodel by completely gutting the existing kitchen from the flooring, cabinets, countertops, necessary walls, necessary wiring, and lighting fixtures. 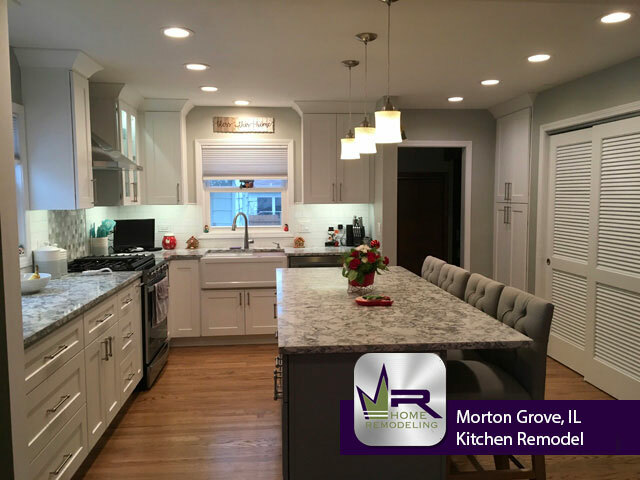 The main goal of this renovation was to completely transform the kitchen into a space that would be much more convenient for this family, more spacious, open, and beautiful. 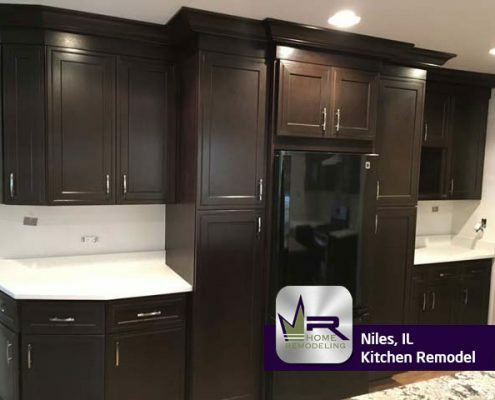 This kitchen is absolutely gorgeous. 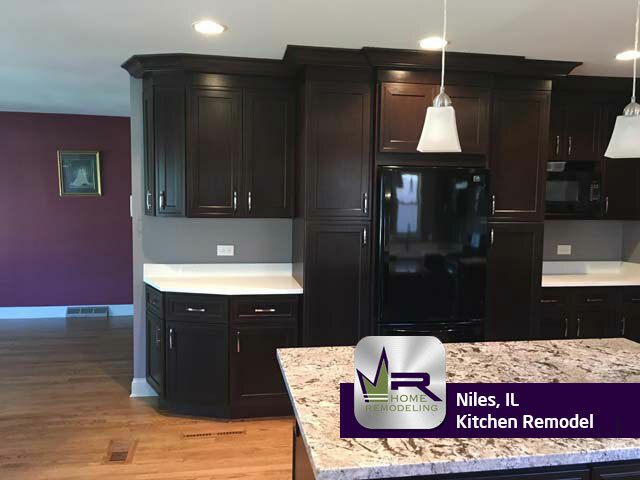 Regency successfully delivered to the customers wants and demands and created a kitchen that was spacious, stylish, and sleek. 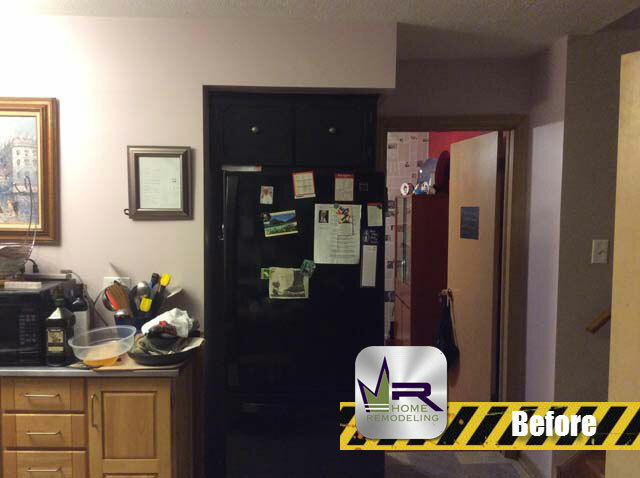 To achieve this, Regency had to do some major demolition including the removal of two walls that separated the kitchen from the rest of the first floor. 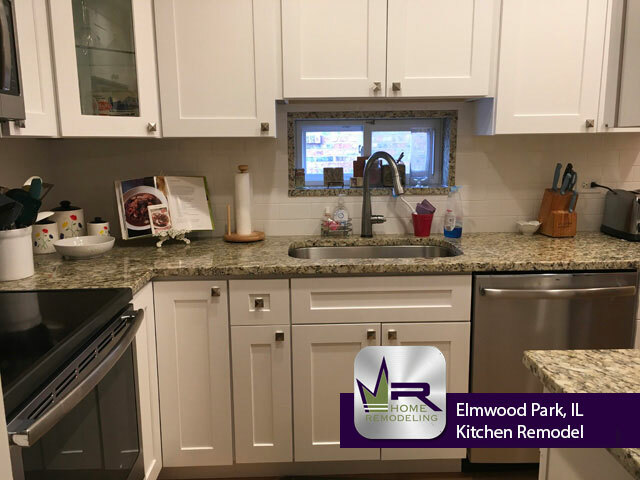 Now, it flows beautifully into the other rooms making entertaining, gatherings, and even everyday tasks much easier and even more pleasant. 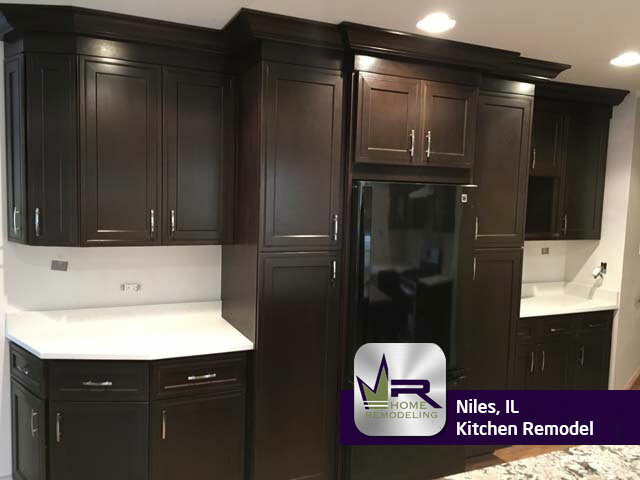 To change the style, Regency installed Chestnut Maple cabinets that creates a very elegant and luxurious atmosphere. 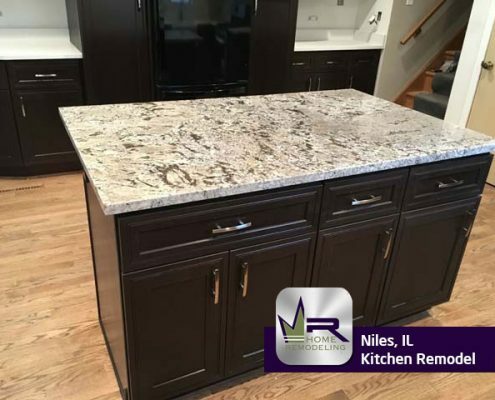 A unique touch is the different countertops used for the main countertops and the island countertop. 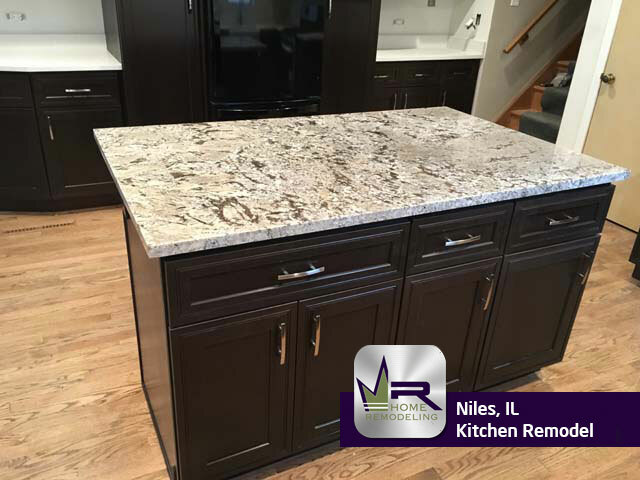 For the surrounding countertops, Regency used White Sand Quartz while Alaska White Granite was used for the island. 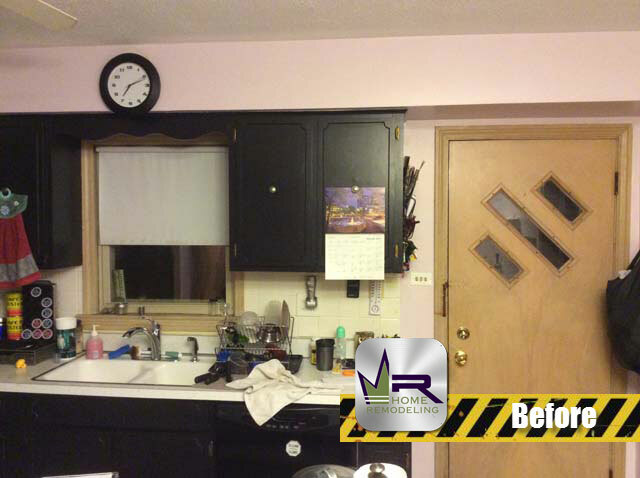 The contrast between the two is very eye catching and generates a sophisticated appearance. 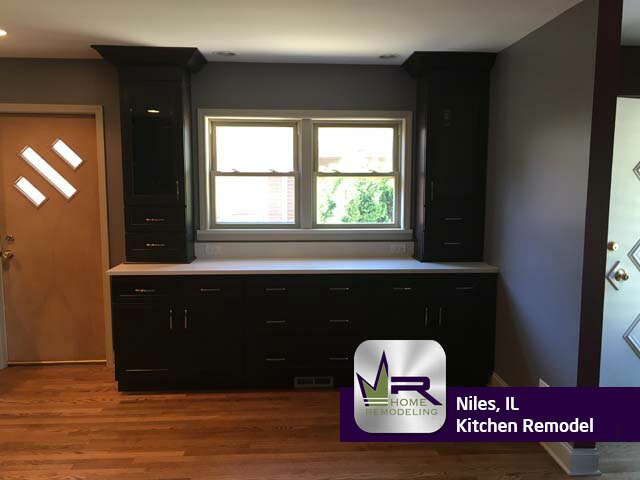 The installation of the island is a key component to this remodel as it offers much more countertop space and cabinet storage area. 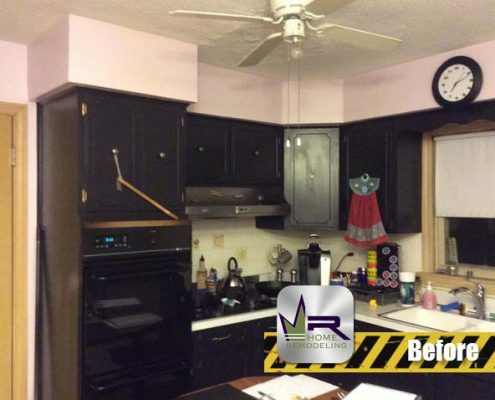 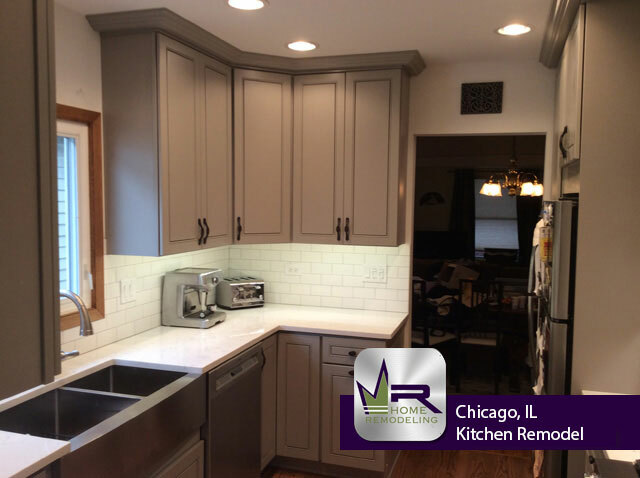 Regency Home Remodeling did a phenomenal job on this kitchen remodel. 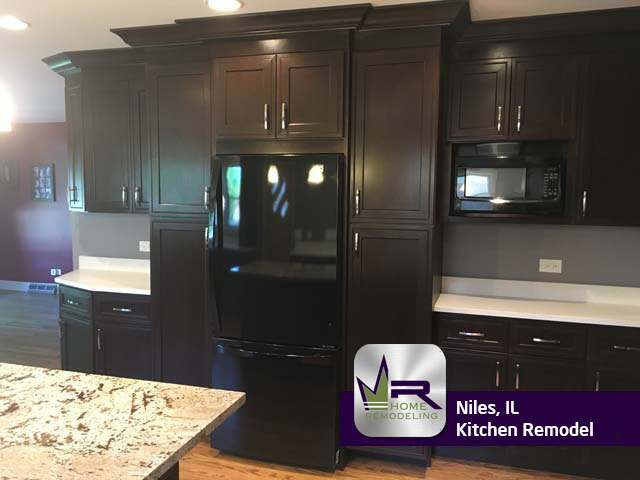 The new kitchen meets all of the customers expectations and so much more. 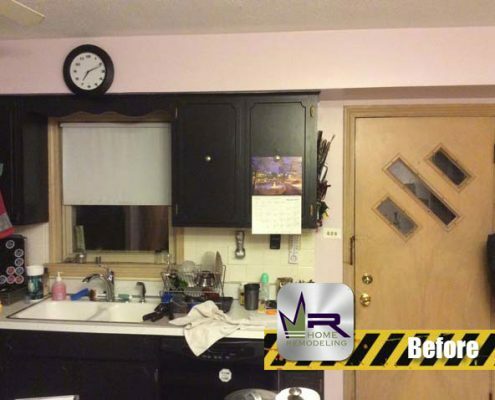 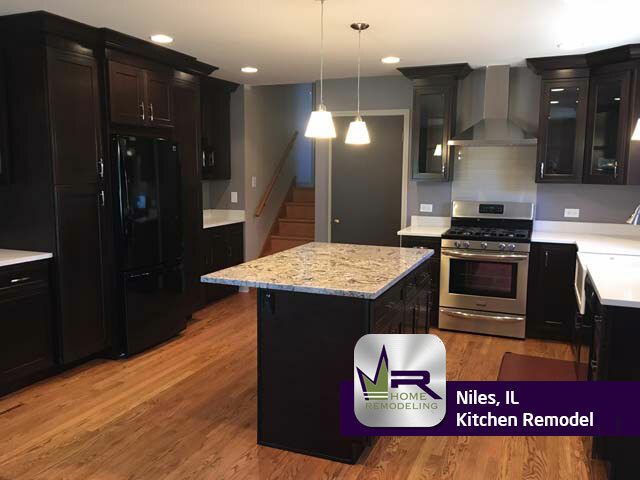 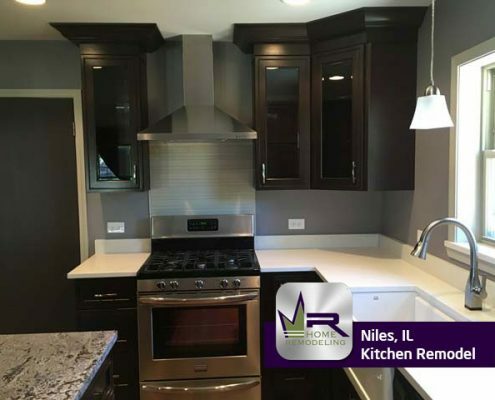 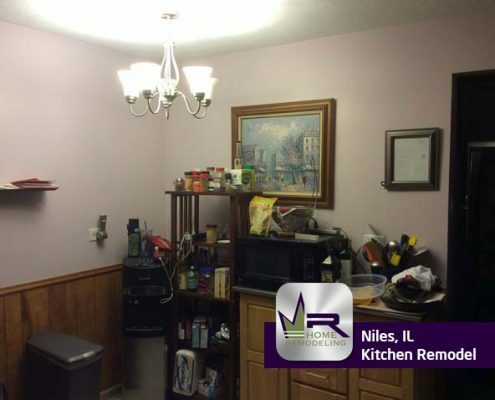 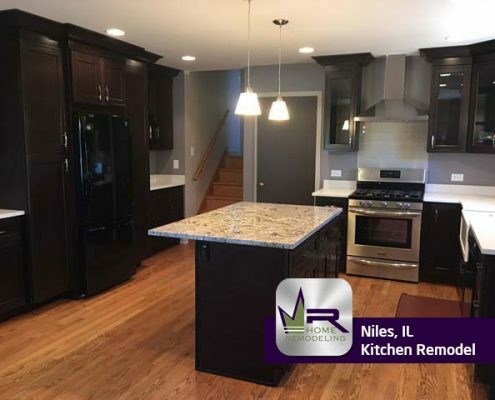 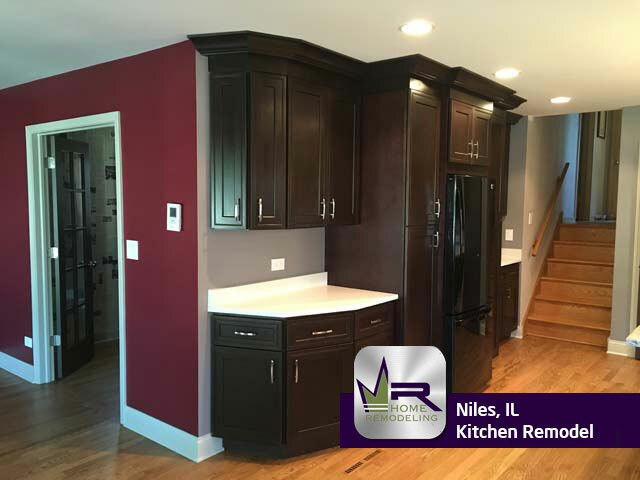 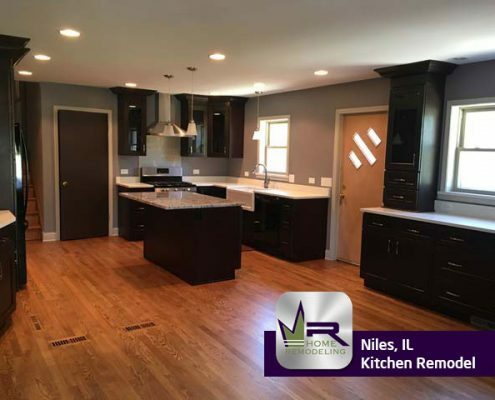 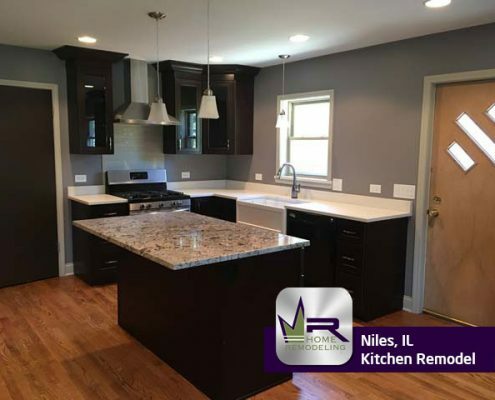 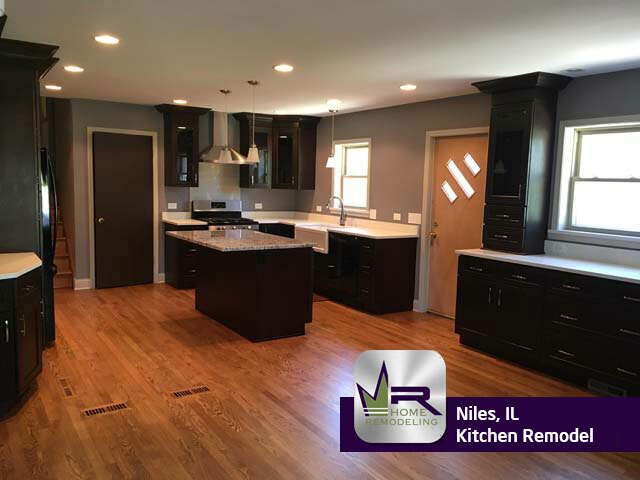 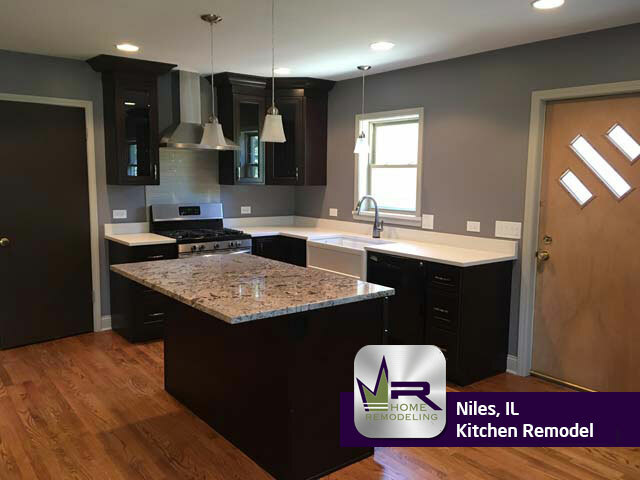 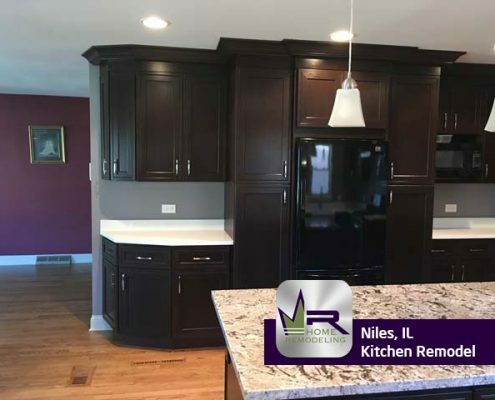 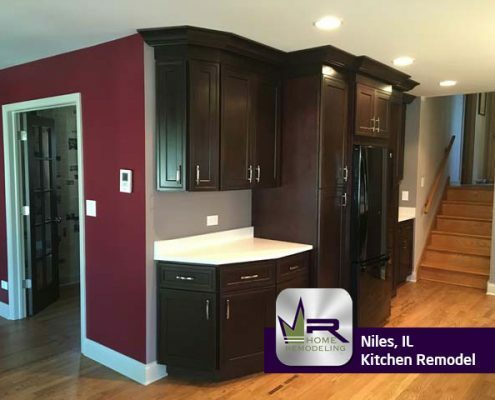 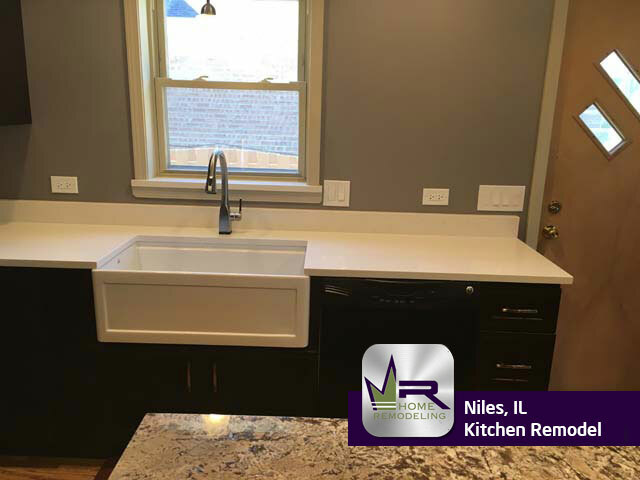 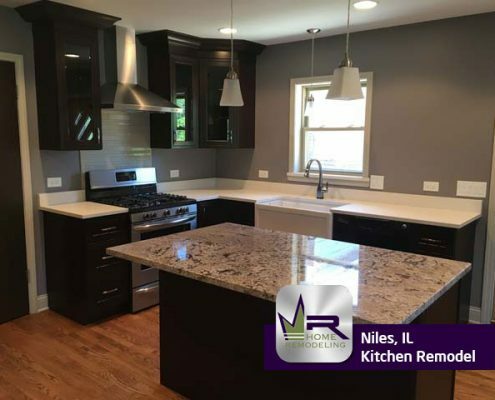 If you want a kitchen remodel in Niles, IL call the experts in home improvement, Regency Home Remodeling, at 1 (773) 930-4465.